So on the scale of world problems, pantry organization doesn’t exactly rank very high up there. I think it fits somewhere in between chipped toenails and stains on the rug. 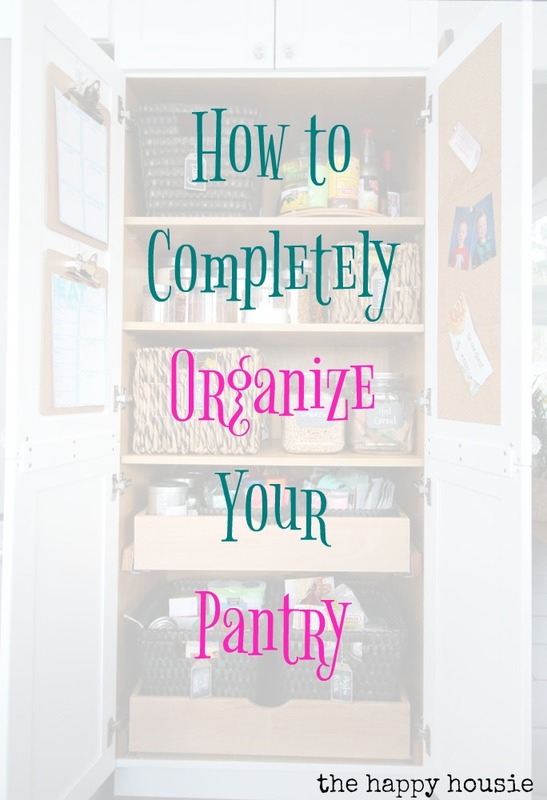 But, honestly, having an organized pantry can make your life better. 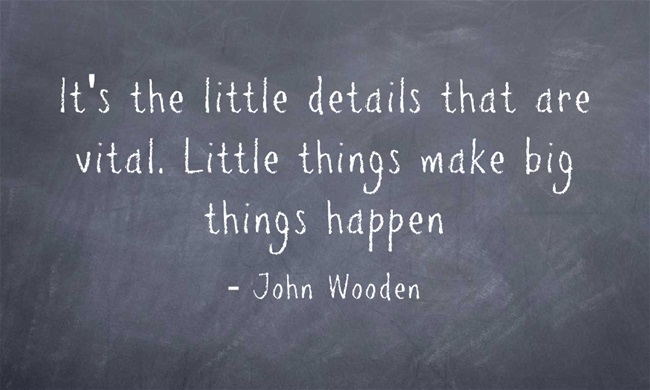 I think that we tend to underestimate the little things in life. We put all our focus on the big. The new. The shiny. We rank things like new cars and fancy trips as the absolute most important ways to improve our life. When, the truth is, life is really lived in the details. The moments. The day-to-day. It’s lived not just on that once-a-year-sunny-vacation, but in the boring humdrum of making breakfasts and folding laundry and cooking dinner for your family. These types of moments in our life actually make up most of our life. So I think that these moments should count too. That’s why I strive to create a home that is comfortable, cheerful, and tidy. And that’s why I think that things like having an organized pantry actually do matter. So how can a pantry possibly rank? Why even bother?? It makes your day-to-day life smoother: You can find what you need when you need it taking the pain out of meal prep, making lunches, snack time etc. It helps you plan and be prepared: You know what you are low on and need to buy when you are grocery shopping so you don’t run out of things unexpectedly. It makes you feel more calm and in control of your life: Small things truly do add joy to our lives. 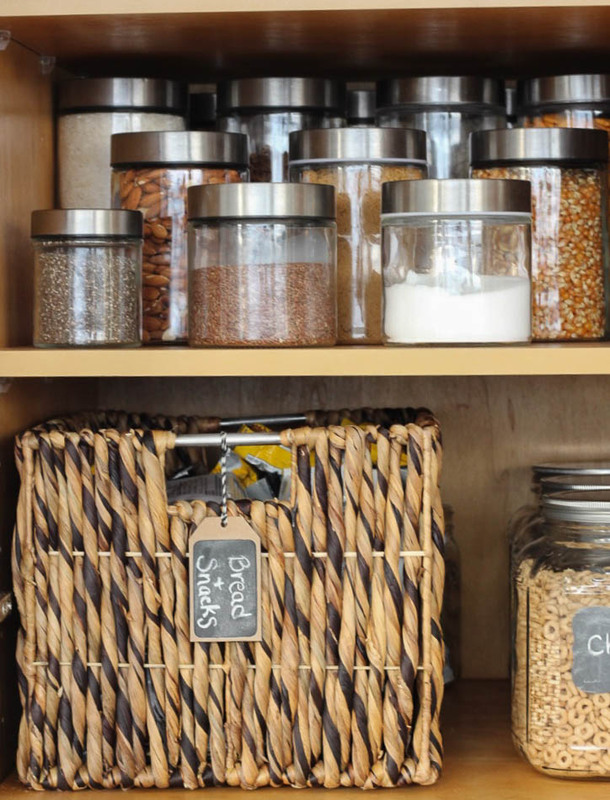 An organized pantry can reduce stress in your day-to-day life. It’s just like making your bed; it is shocking the impact that these little things have on our psyche. Organizing the spaces we use the most helps to eliminate clutter in our minds and increases calm and joy. The truth is, all things fall to the wayside in time and need repeated maintenance. And I tell ya, my pantry as of late really hasn’t been up-to-snuff. 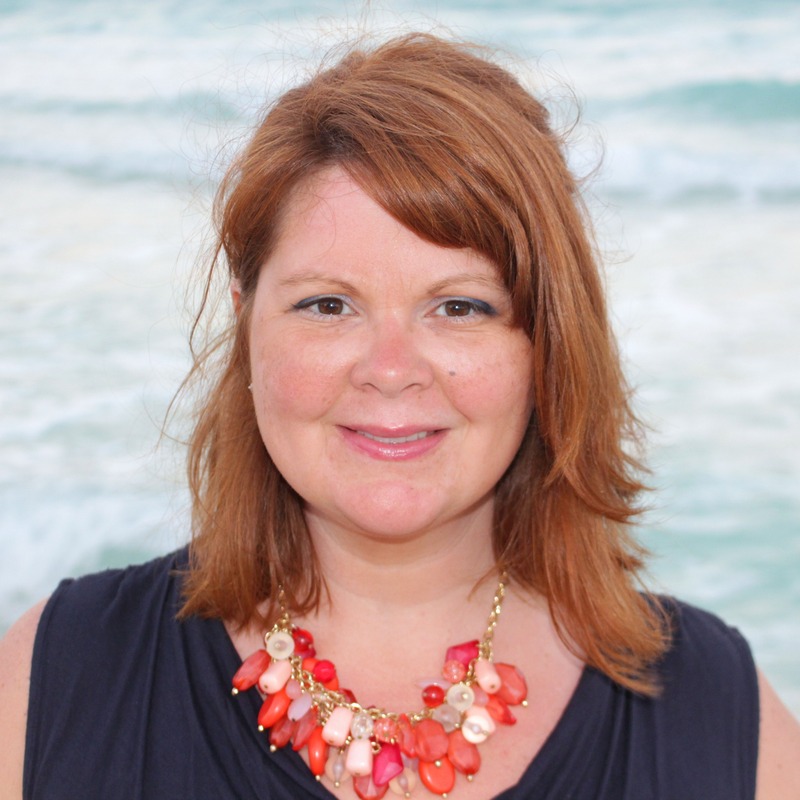 I was feeling the niggling-stress of it every time I went to prepare a snack or meal, and felt overwhelmed when it came time to make a grocery list. 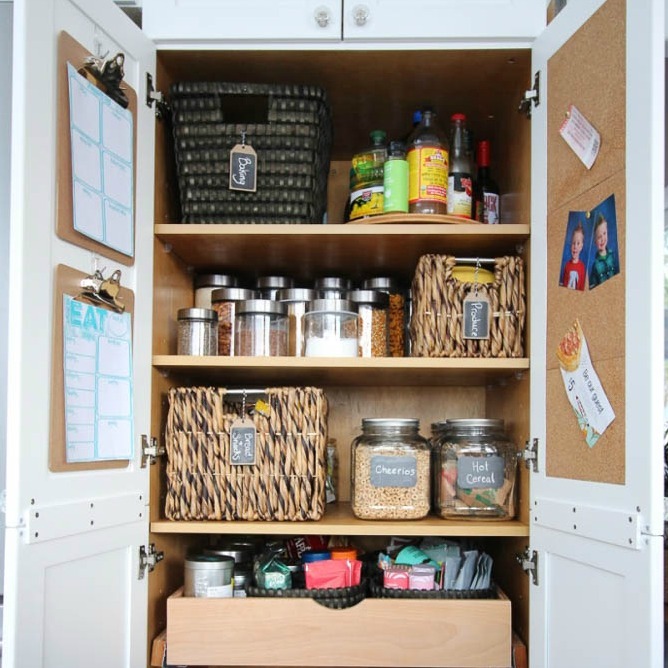 So today I’m going to share my pantry organized makeover journey with y’all, as well as some tips on how you can organize your own pantry. Take EVERYTHING out of it. Lay it all out on the counter or your table. Sort through and get rid of old stuff or things past their date. Baking, Bread products, Canned goods, Soups, Staples/Dried Goods, Snacks, Oils/Vinegars, Tea, Spices, Produce, Cereals, etc. Determine what size containers you need to hold each type of item and source your containers. 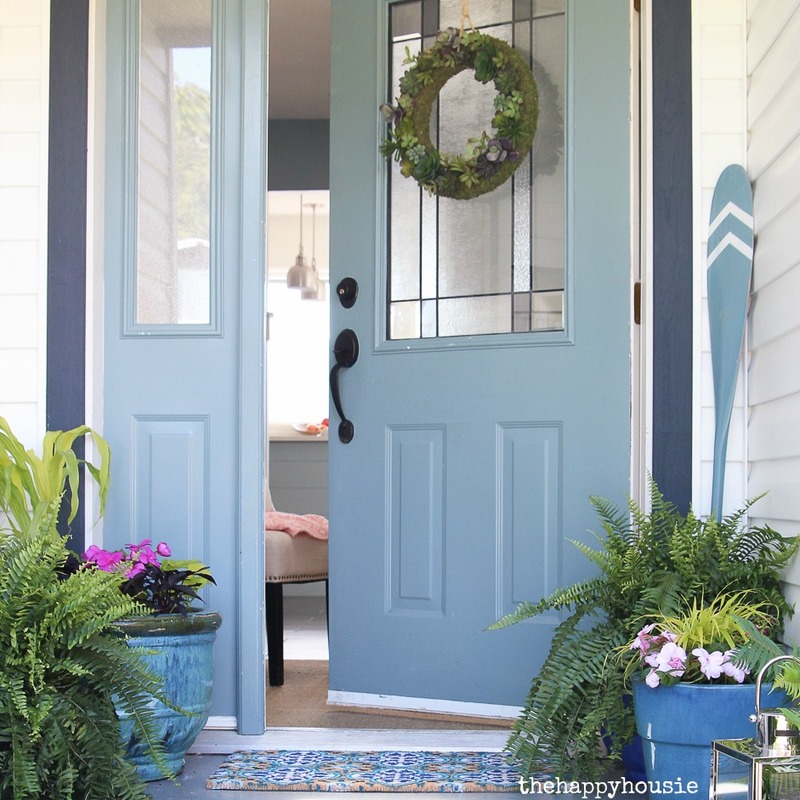 (I’ve shared some containers at the bottom of this post) You can repurpose containers you have in your home or purchase new ones for this task. 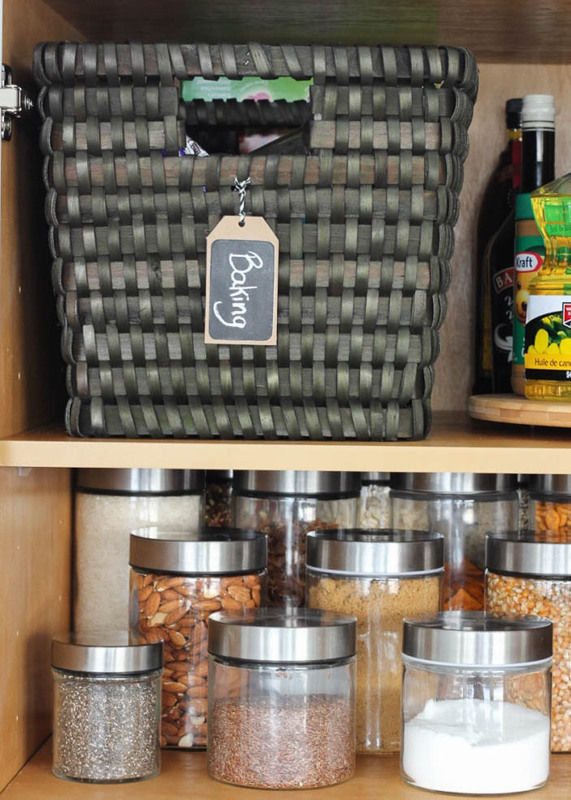 I decided to pick up a few new baskets and a lazy susan for this pantry makeover – I already owned all the clear glass jars. Decide where you want each item to be housed. For example, I like baking up high, because I don’t use it that often so I don’t have to haul it down very frequently. Similarly I like snacks, cereals, breads, and dried goods at eye level because I use those the most. I also like canned goods and pasta down low in a pullout as I find that easy to see and access. I also dedicated an entire drawer to tea, hot chocolate, coffee etc. but most people won’t need quite that much space for these items. I may, or may not have a David’s Tea addiction. You need to place items according to what makes sense for you and for you how eat and cook. 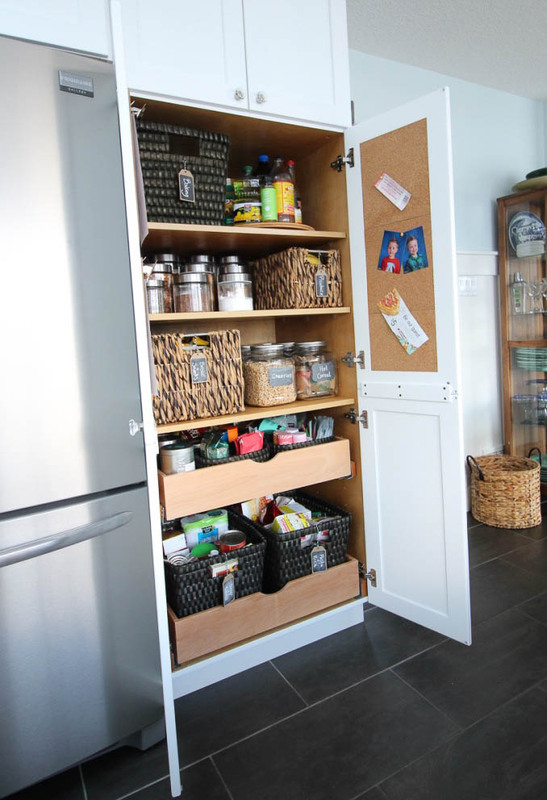 Place the items in their storage containers and in their new spaces. I played around with this a little until it felt just right. I chose only to label the baskets and the larger glass containers as I felt I could easily determine what is in the smaller glass containers based on sight – it felt like overkill to label them. But go as crazy as you want with your labels! Throw out old stuff regularly, go through and make sure everything is in it’s place as you make your grocery list and before you add more food to it. These simple habits help you keep up with your organizational system. Here is how ours looks after all this!! 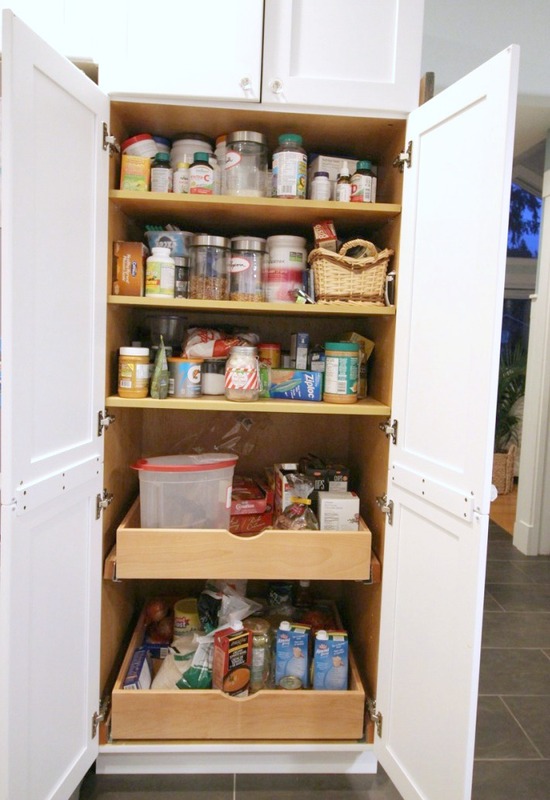 I utilized the insides of the doors to help me keep even more organized. I added two clipboards: one for keeping an ongoing shopping list on, and the other for keeping a weekly menu plan. 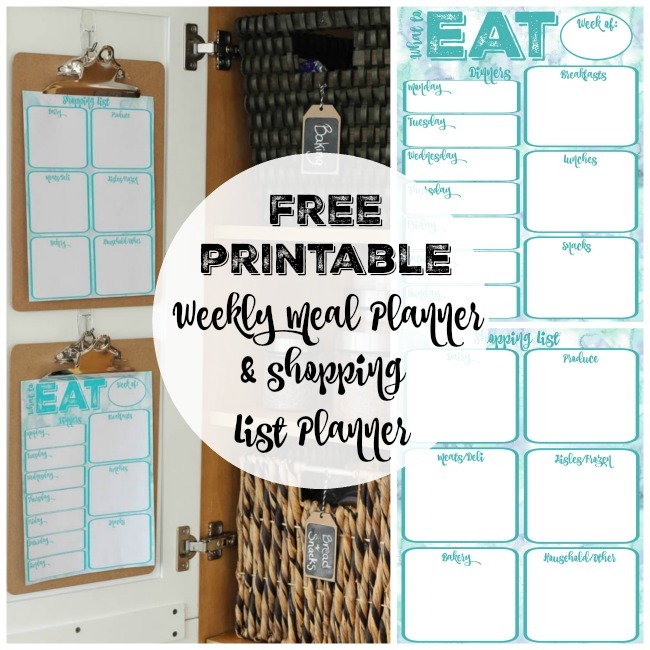 You can get my free printable WEEKLY MEAL PLANNER and SHOPPING LIST here. I didn’t want to drill hooks into my cabinet doors, so I used Command Hooks instead – these ones are designed to hold two pounds and they have held up brilliantly. On the other door, I added some cork board. These are simply cork tiles from the dollar store that I cut to size and then attached using Command Strip Poster Hanging Strips – so as to not damage our cabinets doors as well. 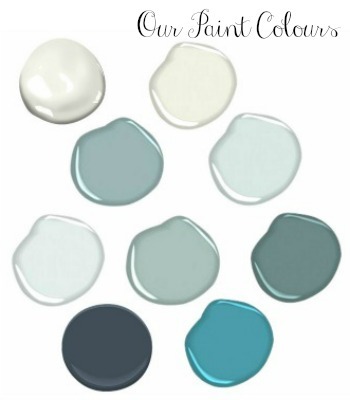 This is perfect for pinning up coupons or photos or tickets. I think I will add some more cork to the bottom of the doors to be able to pin up some of the boys’ school work as well. The lazy susan inside the pantry is one of my very favourite additions. 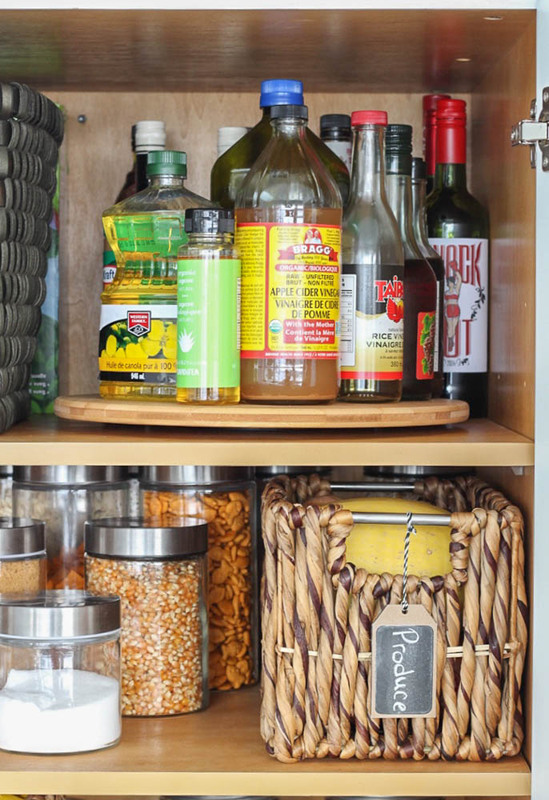 I placed our wine bottles behind it as we don’t need immediate access to them – and everything on the lazy susan is super easy to grab! I highly recommend incorporating one if you can. These jars were all purchased from our local Dollarama store a couple of years ago when I first organized my pantry (before our big kitchen renovation). The baskets are all from my local Walmart, and the chalkboard labels are from Dollarama. I hung them using some black and white baker’s twine. 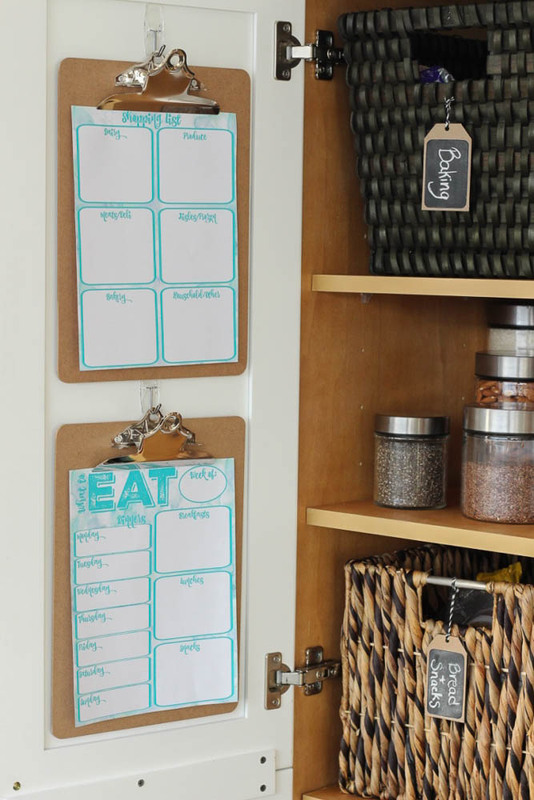 I added the clipboards so I could have super easy access to my weekly meal planning sheet and ongoing shopping list. I shared both these as Free Printables for you to use as well!! I can’t get over the difference. It is so much nicer to use, now! I feel relaxed and prepared to make snacks and meals and to figure out what I need to add to our grocery lists. These sound like such simple things, but it honestly adds joy to my day-to-day. Find some inspiration? Pin it to remember it! Gorgeous! 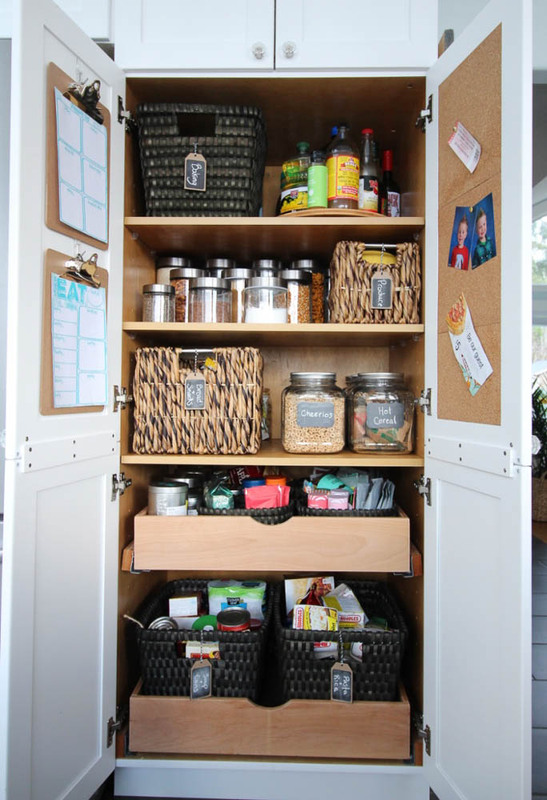 I have a family of 8 so our pantry space needs are larger, but this is so helpful and inspiring! Hi Katy! 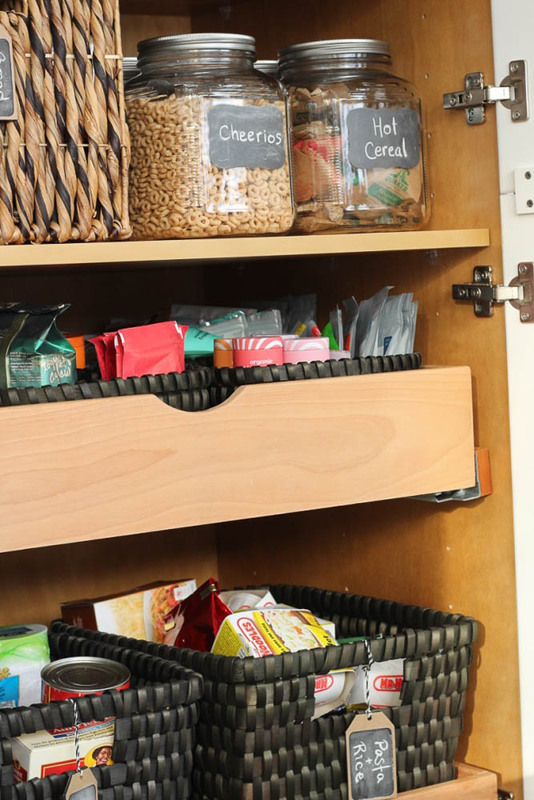 Our pantry definitely isn’t huge – we do keep some larger (Costco sized items) out in the garage if we have a lot of extra… especially since our Costco is an hour away. But our daily stuff does fit. I think the organizing principles apply to a pantry of any size though, right?? 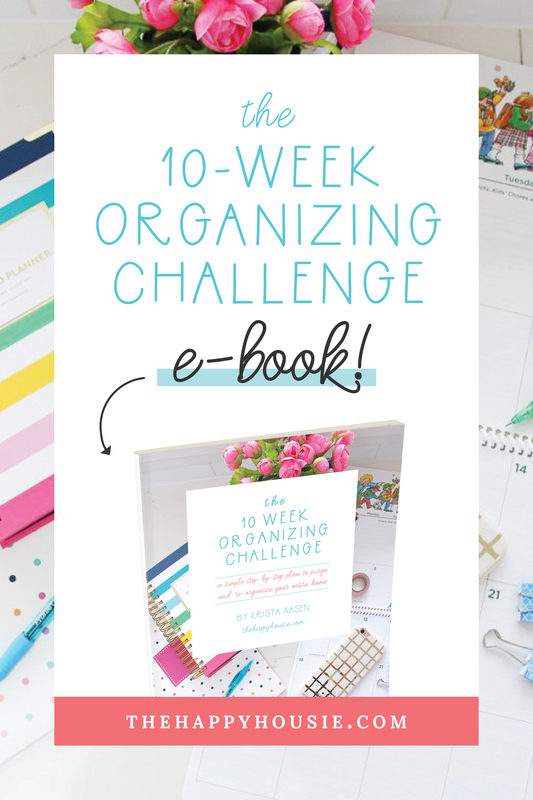 Best of luck with your organizing projects! What a great update! 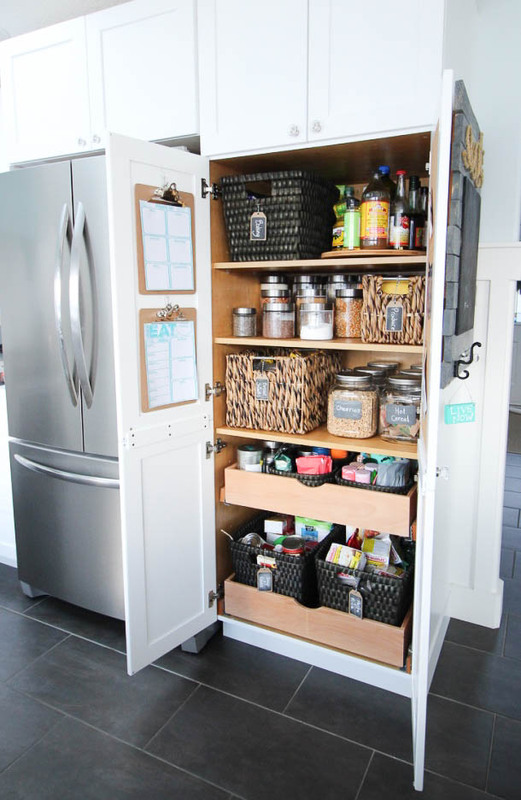 It looks so pretty, I wish I had pantry, I don’t have a space like that and it would make things much easier! You should link this up tonight at #bloggerspotlight! 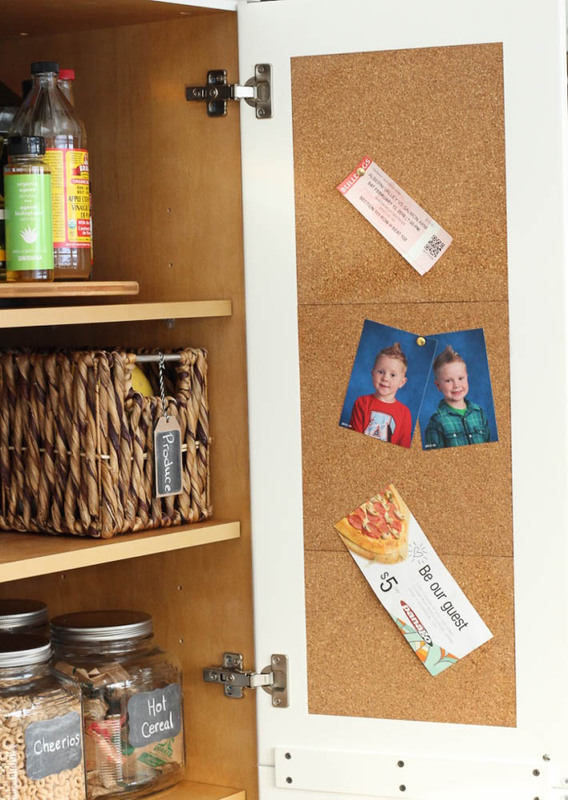 We’re getting ready to add on a pantry and these are some really great tips. Thanks for the all the wonderful organization inspiration! 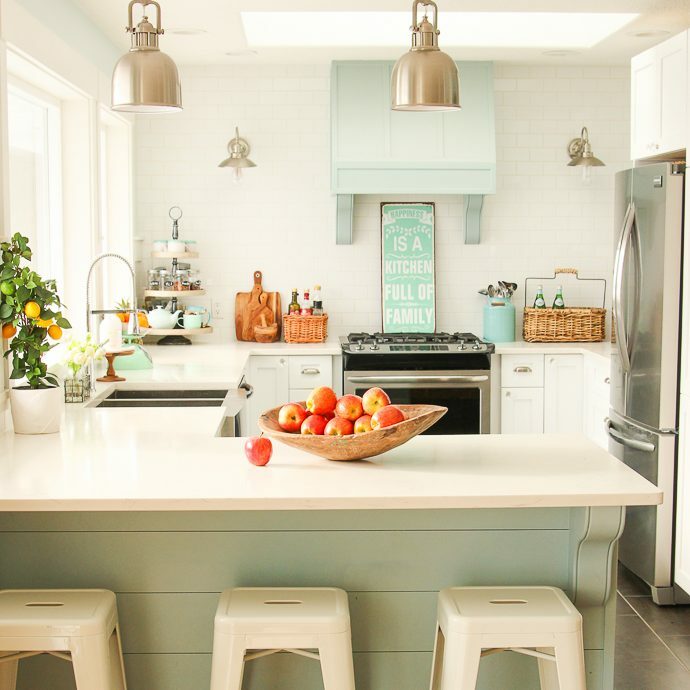 What a pretty kitchen you have!! 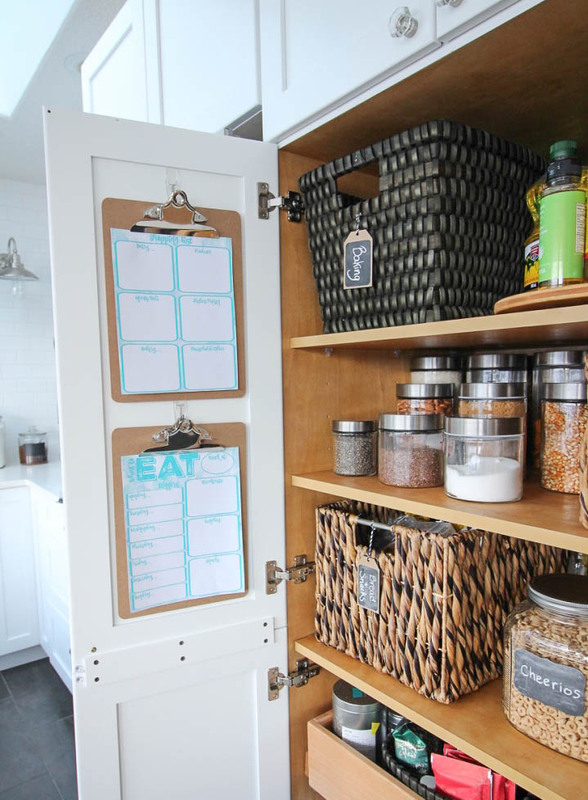 Love these Ideas + tops and I want that pantry! Thank you for sharing on Merry Monday! Pinned! Have a great week! Love this! 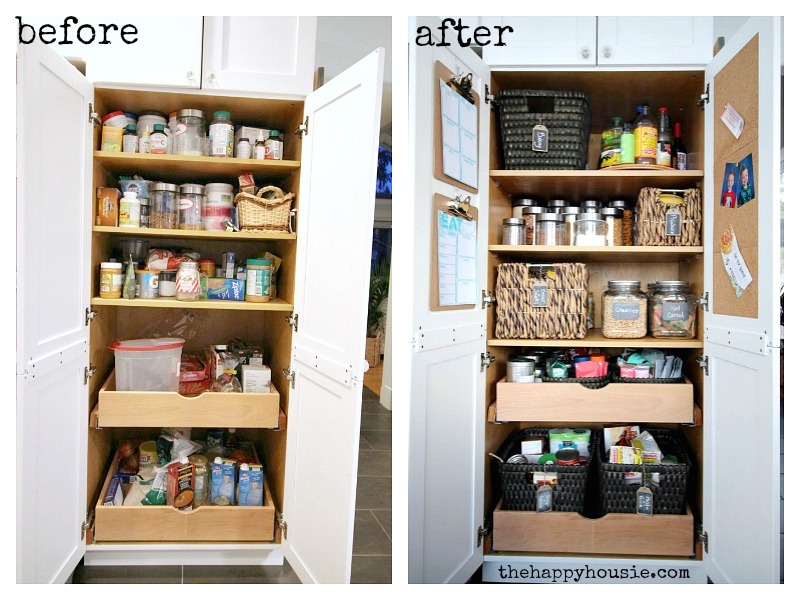 I really need to do this with my own pantry. The top half of the doors on my pantry are actually glass, so everything that is stored on the top three shelves is visible. My pantry is not in the main kitchen and not really that visible, but it would still be nice to make it look pretty. Thanks for the inspiration! Wondering how you feel the poster stickers for the cork holds up after use, I feel that cork is tough to get to stick to due to it’s fall apart nature. We stuck ours inside picture frames, then hung the frames on the wall. Thanks for the post. OMG! I was just looking at my pantry closet yesterday saying to myself “I really need to clean this out and organize it better” Thank you so much. Question, the blackboard labels did you purchase or make those? And are they reusable, can you change the wording as needed? 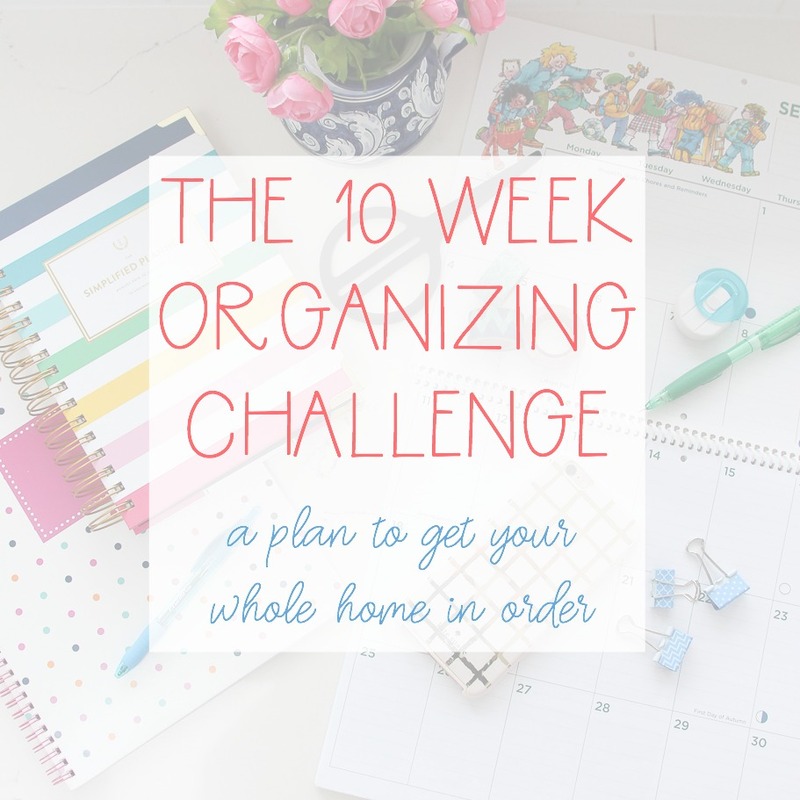 I love your ideas and style trying slowly to get my house organized and redone! I purchased them – they are Martha Stewart brand and used to be available at Staples. I’ve seen similar labels at the dollarama as well as at Michaels. I can change the wording – they are reusable and I just used regular chalk. You can also get chalk pens at Michaels and they work well for more “permanent” chalk applications. Good luck with your project! 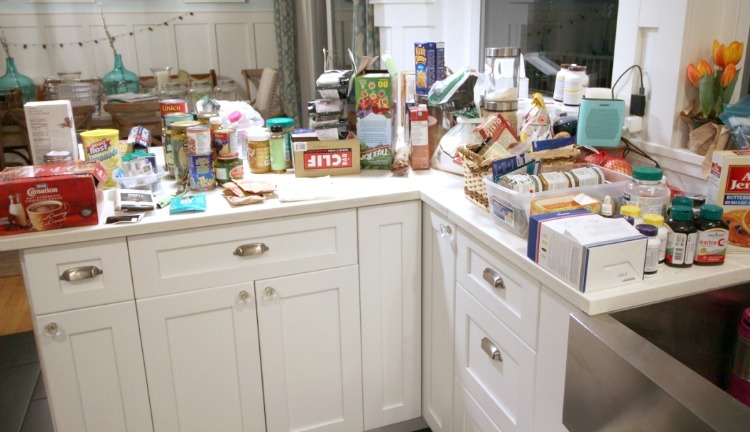 I am always organizing my pantry and its never organized. I believe, now that I see yours that I need some differente methods, because I have enough space in it. One of the things I need are similar canisters, because I have several of them (all of them glass ones) but all of them with different shapes – that means they don’t match very well and take too many room on the shelves. I love your baskets, they are so gorgeous, but I would use different ones – easier ones to keep clean. I have one or two colorful plastic ones, but they are too small. Need to buy others, bigger! I decided to organize my pantry once again. Hoping this time will be the last, and hoping this time will work. Hi Maria! Having the same containers does help, for sure- they fit better and then look more calm and uniform to the eye. Plastic ones definitely would be easier to clean if something spilled inside them – but I think the wicker will work ok for dried goods. Good luck with your project!! I am sure it will feel amazing to have it done! Love the lazy Susan idea! Where did you get yours? Hi Heather, I got mine from Canadian Tire, but I have seen nice ones at Ikea as well, if you have one nearby.